Are you ready to learn real-life rock star marketing secrets? 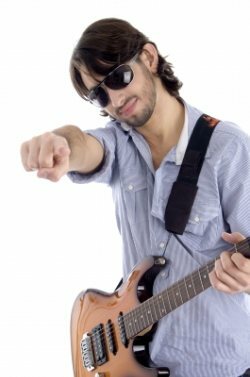 Are you ready to be a total rock star to your clients and prospects? Find out what it takes to get a little bit famous, and put your business in the spotlight with these secret marketing strategies from a music business insider! Andy Gilbert established Pacific Talent Inc. in 1975. Since then, he has guided the company to become the largest talent booking agency in Oregon. He has produced numerous corporate events, conventions, and festivals throughout the northwest for 1,000 to 250,000 persons in attendance. Andy is experienced and knowledgeable with regards to available talent and industry acquisition procedures, all associated talent production requirements, full event production budgeting and accounting, and media relations. This class is part of the Advanced Strategies series from the DIY Mastermind. Presented as a public service by DIY Marketing Center, hosted by Ronnie Noize, the Marketing Coach, and benefitting every lucky person who attends this cool call!